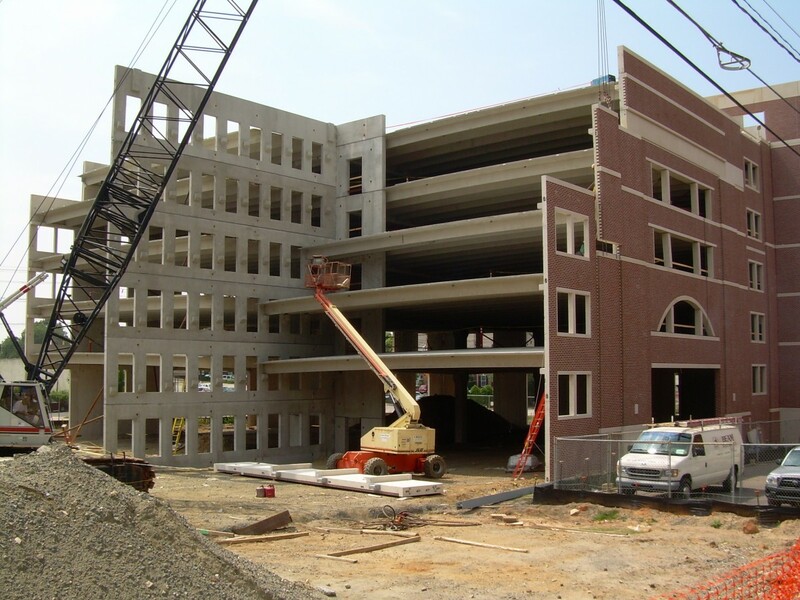 This six story, 232,000 square foot parking deck is used by Central Piedmont Community College students, staff, visitors, and the general public. The deck also houses office space and retail spaces on the first floor with street access. The exterior stone and brick veneer makes the building blend comfortably with its surroundings. Special inspections personnel monitored the placement of structural fill and installation of the Rammed Jack Aggregate Pier System and “H” pile installation. Special inspectors certified by the Post Tensioning Institute (PTI) made on-site visits to the pre-cast plant to monitor the installation of reinforcement and pre-stressing operations. PTI personnel closely inspected and monitored the erection of all pre-cast elements. Inspection of cast-in-place concrete, grout, and masonry were also part of the required inspections on this project.